Design Matters is celebrating it’s tenth anniversary! Weekly episodes will return on Monday, March 3rd. Host Debbie Millman continues her pursuit of interviewing the world’s most creative designers, thinkers, writers, and cultural commentators on her popular podcast. Design Matters boasts over one million downloads, and is the recipient of a Cooper Hewitt National Design Award. In the last decade, Millman has interviewed more than 250 design luminaries and cultural figures, including Massimo Vignelli, Milton Glaser, Malcolm Gladwell, Dan Pink, Barbara Kruger, and Seth Godin. This celebratory season will find Debbie in discussion with fashion designer Isaac Mizrahi; Jessica Walsh & Tim Goodman, authors of the book 40 Days of Dating; Audrey Arbeeny, founder of Audio Brain, in an episode that will be taped live at the Design Observer What Design Sounds Like symposium; graphic designer, author, and educator Louise Sandhaus; Ben Watson, the executive creative director of Herman Miller; the musician Morley; composer Nico Muhly; Lynda Weinman, founder of Lynda.com; Steven Heller, author of over 160 books and co-founder of the Masters in Branding program at New York's SVA; gourmet chef Julia Turshen; Ron Burrage, design director at Hershey’s, and an actor and performer; Oliver Jeffers, illustrator and author; journalist and author Virginia Postrel; Tiffany Shlain, internet pioneer and filmmaker; the author, illustrator, and entrepreneur Lisa Congdon; and Carolina Rogoll, Brand Director at P&G and author of Star Brands. 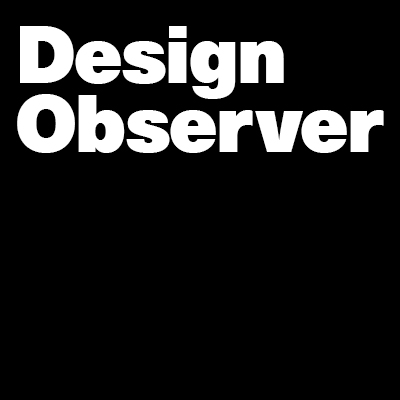 You can listen to weekly, and to the entire archive of Design Matters, on Design Observer, iTunes, and SoundCloud.